Welcome to North Coast Creations March Release! 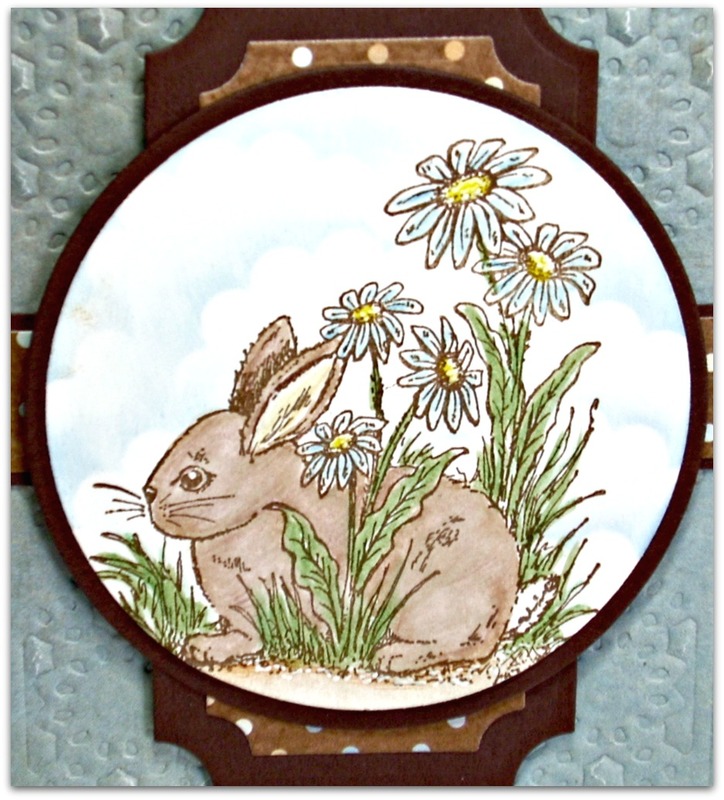 This month, North Coast Creations is releasing three stamp sets that are perfect for your Spring and Easter creations! Continue reading below to find out how you can win one of two North Coast Creations $10 Gift Certificates good towards the purchase of NCC Stamps. I used the new Hoppy Easter stamp set to create both of my cards. The image is stamped in Coffee Archival on Vanilla card stock, die cut with Spellbinders Rectangle Dies and colored with a combination of STAEDTLER Karat Aquarell Watercolor Pencils and Karat Aquarell Watercolor Markers. I sponged Blue ink around a scallop for the sky. To embellish I added Vintage Brown Seam Binding, a Prima Flower and Olive die cuts using Our Daily Bread Designs Custom Fancy Foliage Dies. 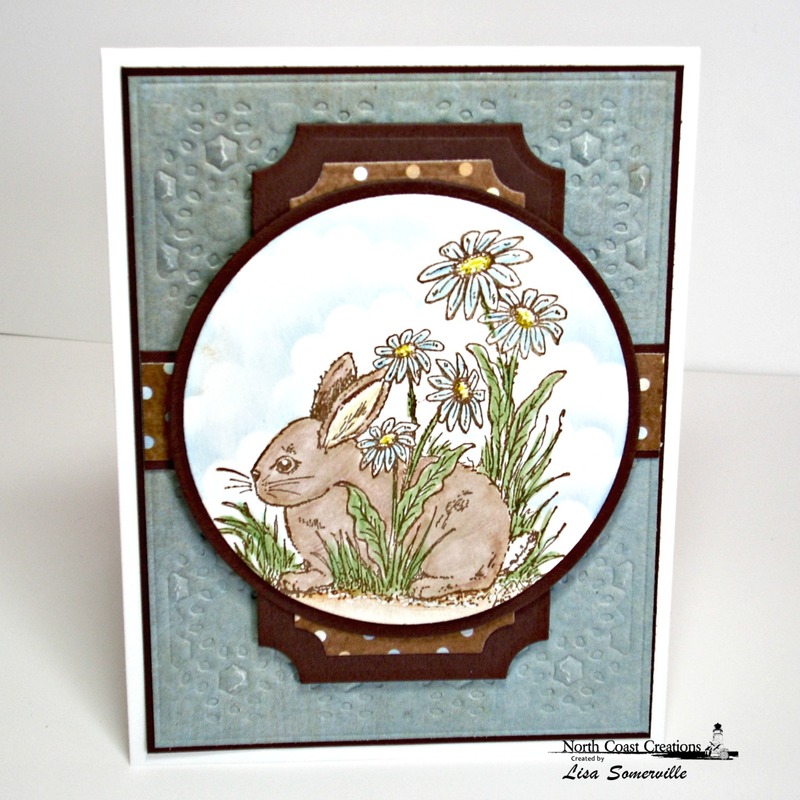 The image from Hoppy Easter is stamped in Ranger Coffee Archival on White card stock, die cut with Spellbinders Circle Dies and colored in the same manner as the card above. The background panel is embossed using Our Daily Bread Designs Custom Daisy Chain Background Die. For additional inspiration, you can also follow North Coast Creations on Pinterest and "like" them on Facebook! Both great cards!! I like the colors on both, and I really like the layout of your first card! Love how you've nestled the bunny against that softly sponged sky! Great layouts for both! Lisa both of these are so soft and sweet and perfect for Easter! So cute! Your bunny cards are adorable! The understated colors are so pretty. So cute Lisa! Love the soft coloring on these images! What a sweet little bunny peeking out from those darling spring flowers. You colored him beautifully. Wonderful card. 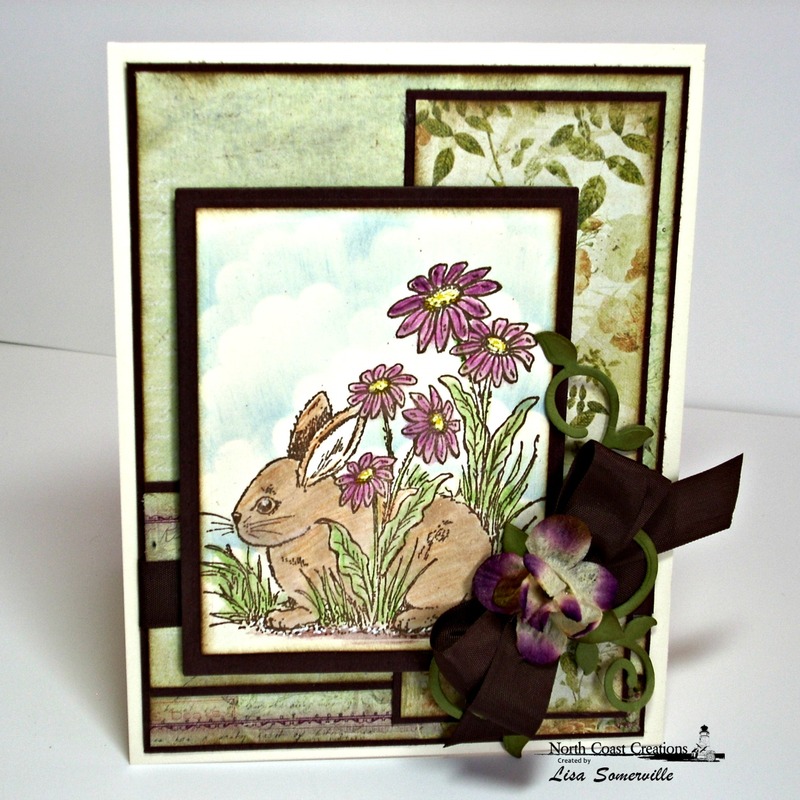 I love the bunny stamped in brown, Lis...cute samples! Great cards and layouts, hope Spring makes it's your way this week. Both cards are great. I particularly love the bunny against the sky. Super cute cards, Lisa!! Love them!! So sweet, Lisa. Love the soft colors you used.